UPE is an expert in building wind mandrels for filament winding. We have been producing mandrels of all shapes and sizes since the 1990’s. Working closely with our customers, we have produced mandrels for use in the defense and medical industries. 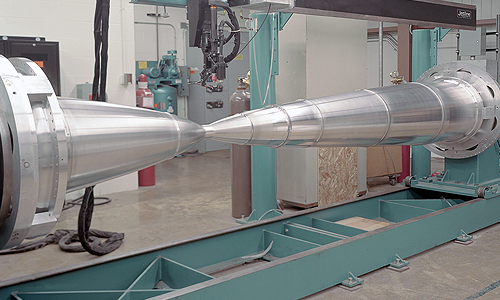 Regarding the defense industry, our tooling has been used to lift rockets and missiles. Our tooling has been used in the medical industry to make the shielding used in MRI machines. We are always open to consider commercial applications as well.